Take the Wells Branch / Pflugerville Exit (#247). You will need to be in the left lane at the Wells Branch Pkwy. intersection. Turn left (East) onto Wells Branch Pkwy. and continue to S. 10th St. (about 2.5 miles) and turn left. Continue north (about 1 mile) to our Admin. 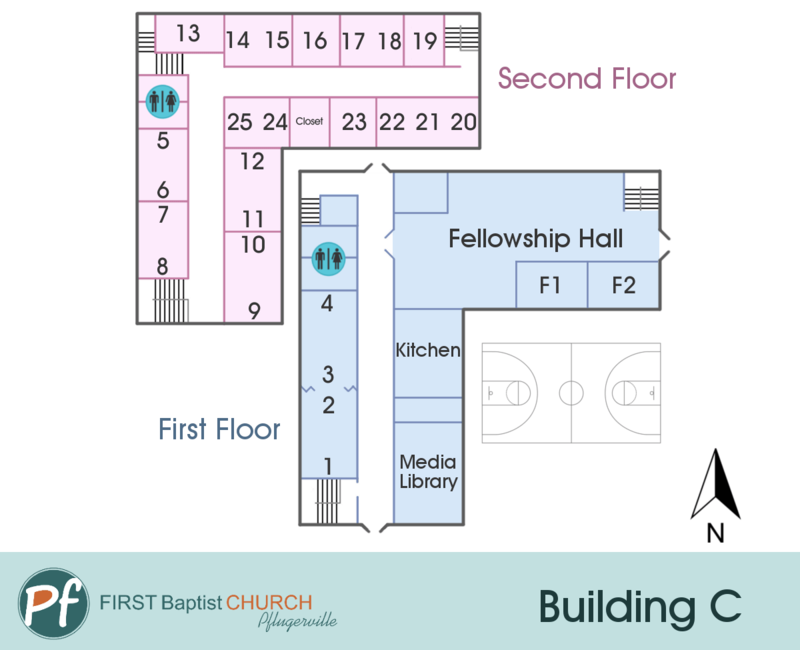 Office & Education buildings on the left or continue another block north to our Worship Center and Multi-Purpose Building on the right. Take the Wells Branch / Pflugerville Exit (#247). From the access road, veer to the at the Y. Turn right at Wells Branch (East) and continue to S. 10th St. (about 2.5 miles) and turn left. Continue north (about 1 mile) to our Admin. 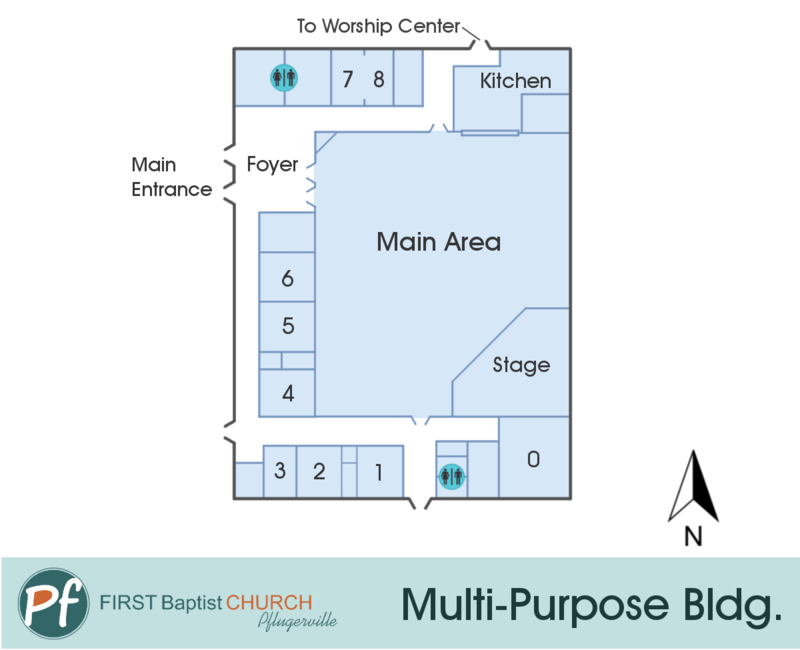 Office & Education buildings on the left or continue another block north to our Worship Center and Multi-Purpose Building on the right. Take the Kelly Ln. exit. From the access road you will turn right (south) onto FM 685. Continue south until you reach FM 1825 / Pecan Street (about 2.8 miles). 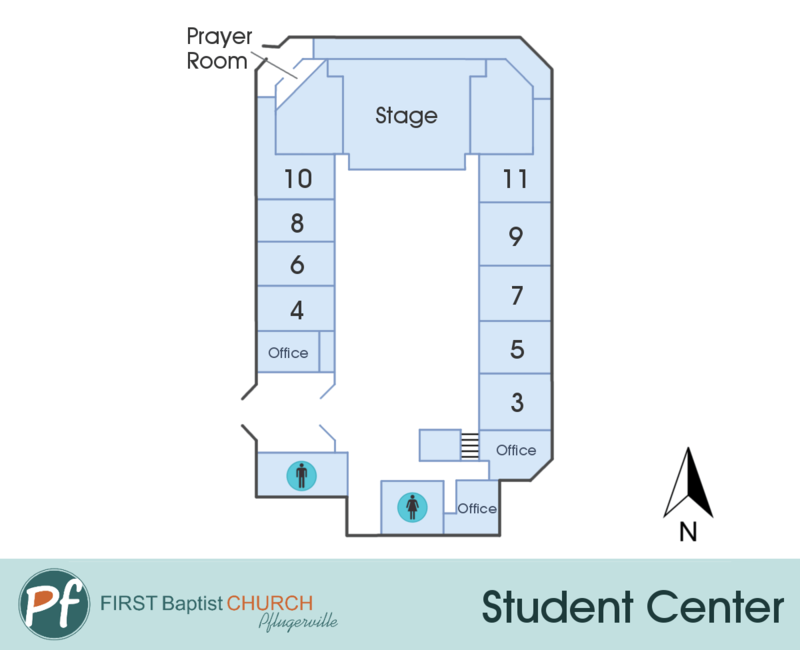 Turn right on Pecan St. and go to 10th Street (2nd light). 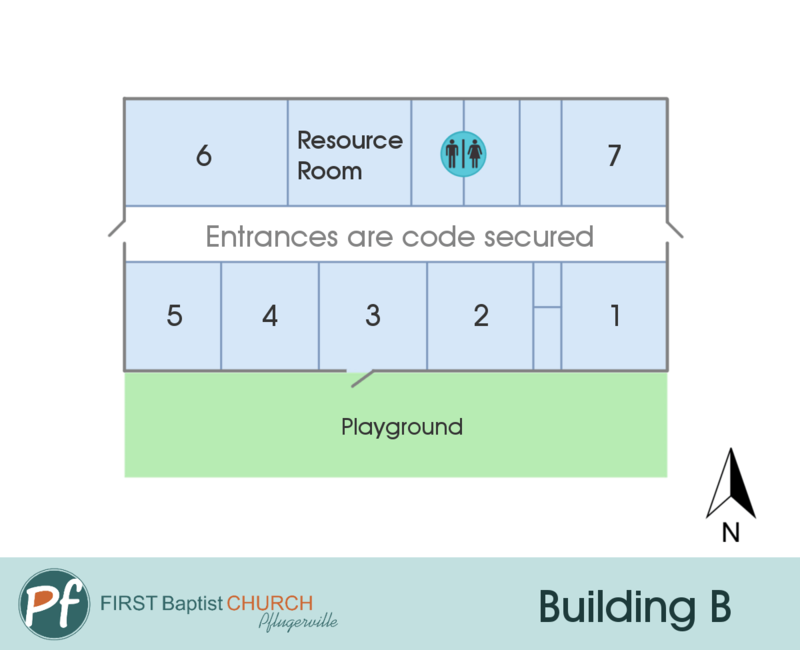 Turn left onto 10th St. and our Worship Center / Multi-Purpose buildings will be on your left or go another block south to our Admin Office / Education buildings on your right. Take the Pecan Street exit and go West on Pecan Street. Continue west to 10th Street (about 2.7 miles). 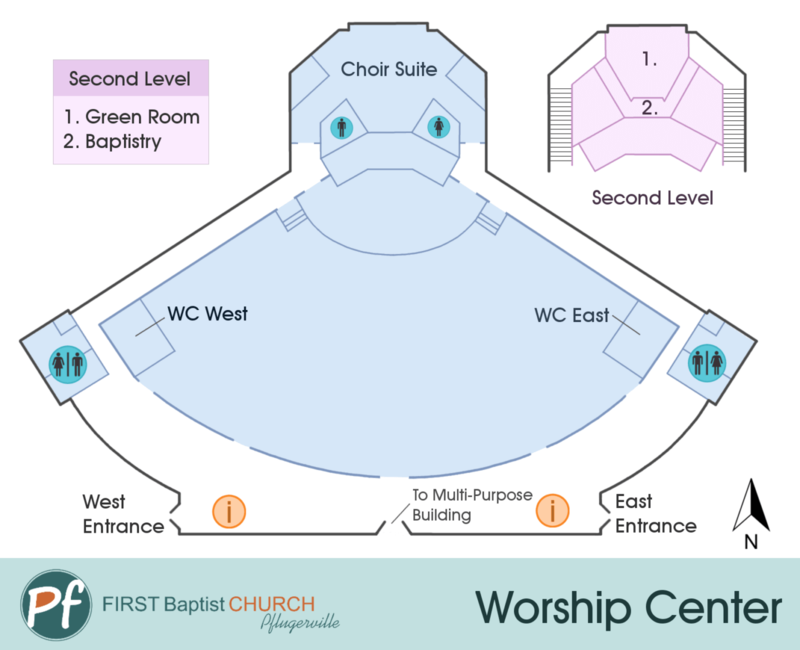 Turn left onto 10th Street and the sanctuary will be on your left. 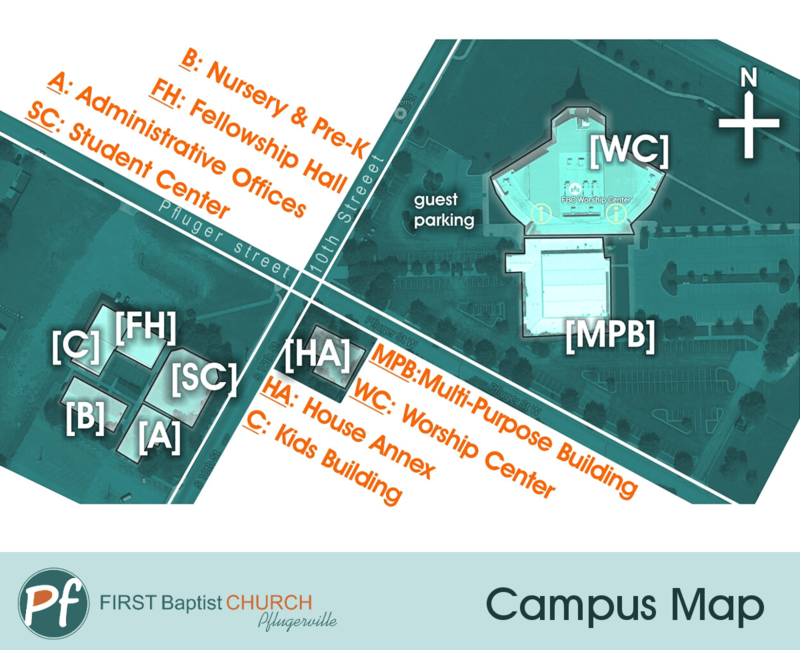 The Admin Office / Education buildings is another block south on your right.